Orchestrating a coherent content strategy and building a blog audience often requires the coordination on many pieces of content created by multiple content creators. Working from one editorial calendar is essential for the long-term success of your blog. These various challenges may seem daunting, but they can all be addressed by putting time and energy into creating one simple and uniform document used by the entire team. A robust, well-reasoned and methodically constructed editorial calendar can be the most critical piece of your content strategy. This post will show you how to take a lowly blank spreadsheet and turn it into your content marketing’s key strategic source. In addition, I created a free template of an editorial calendar for anyone to access and use for their blogging efforts here. Below I will walk you through each section of the editorial calendar I’ve provided to illustrate how to best use it to manage your content marketing. To help give your content marketing purpose, the Content Marketing Instituterecommends that content managers formulate a content marketing mission statement. Many of us in the business world are familiar with mission statements. A mission statement can serve as an integral part of guiding your editorial content. Not only will your content mission statement give your brand a voice, but creating a mission statement will force you to consider your target audience and how your content might impact them. To put it simply, a content mission statement answers the question “Why does your content exist?” Depending on the answer to this question, the shape of your content planning may look very different. Your content’s mission should be reflected in all your editorial decisions moving forward, this way each piece of content you produce will help work towards your overall goals. Once you answer the question of why your content exists, you should start to have a fairly good idea of who your target audience is. Clearly defining your audience is key because this knowledge will determine what type of content you publish and how you promote it. Creating a robust mix of audience personas will help you not only choose where and how you publish and promote your content, but will also (along with your mission statement) dictate what types of content fit your editorial agenda. To help assist you in your research you can use demographic write-ups provided by companies like Razorfish or Pew Research, or research on your own using one of the countless must-read marketing blogs out there. 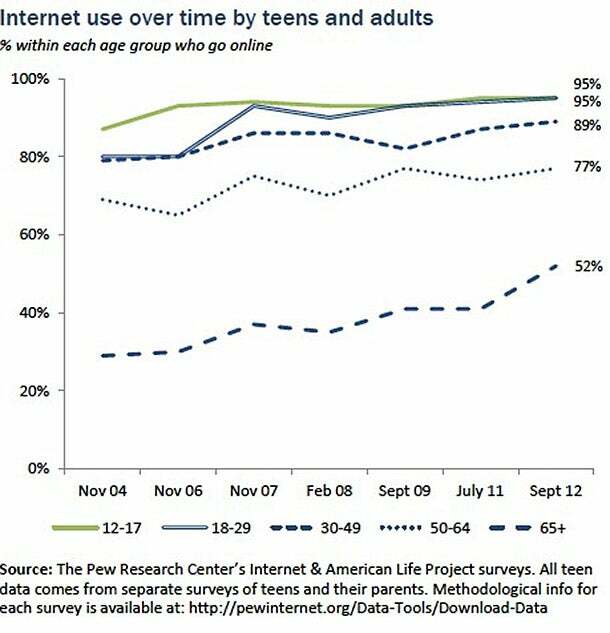 In addition, you can use free online tools like Google Trends to help research and build out each audience persona. After you have a general idea of the type and purpose of your content, the next step will be to determine how much and how often you can produce this content. In this regard, more content is not always better. When setting the schedule it is key to make sure that you can stick to it while still maintaining a high standard of quality. Focus first on the distributing quality content and worrying about the quantity of content later. Factors to consider are not only the size of your team, but also the nature of the content you are having them produce. If your editorial operation is a one-man-show and you are producing longform content, then one post a week might even be as stretch. One the other hand, if you are producing listicle content one post a week might not be enough. Maximizing the balance between frequency and quality is the primary objective of this planning, but one factor to also keep in mind is whether or not you can maintain consistency as well. Content is strongly benefited from consistency and any schedule should seek to preserve consistency. This may mean building out buffer content into your overarching schedule and/or curbing the content frequency throughout. In other words, when it comes to content frequency don’t plan for your peaks, plan for your troughs. Now that you know your content’s mission, audience and frequency it’s time for the real planning to begin. Using all considerations mentioned above, you (and your team if you have one) need to sit down and decide what topics you will choose to create content around. Depending on the frequency you plan on aiming for this planning might be done for the entire month, the entire quarter or even the entire year. For each day you plan on posting first come up with an engaging headline. Each headline should be written to not just grab attention, but to provide value to your readership about what an article is actually about. Another key consideration for the development of topic ideas is the incorporation of keywords. Choosing stories that are likely to either contain or relate to certain keywords will help maximize your content marketing’s potential to benefit SEO. Always keep in mind the reader as opposed to the search engines, but it is entirely possible to keep both concerns a focus of your blogging. The first place to look for keywords to pursue is your mission statement. It goes without saying that if this statement is the guiding principle of your content efforts then it will be a good idea to rank for keywords contained within it. Another easy way to decide which keywords to focus on will be to use the audience personas mentioned in the second section for inspiration. Think about the type of searches your audience is likely to make over time and from there formulate what topics your content should be focused on in order to serve your audience’s needs as they search for content to solve their problems. Ideally, combining these two analyses will yield keywords that overlap. These should be the keywords that you focus on creating content for. 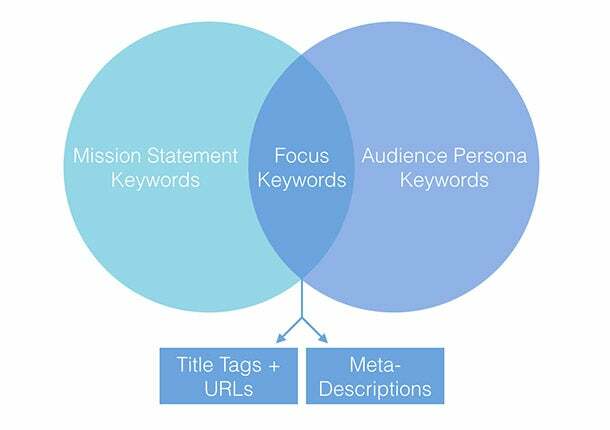 The next step will be to take these focus keywords and to incorporate them into not just the titles of your content, but into the meta-descriptions, title tags and URLs naturally. Doing so will ensure that your content remains on topic and is also contributing to your search rankings. In a previous blog post, I went into quite a bit of detail about the details surrounding content syndication. To review, content syndication is when another blog or publisher agrees to republish content that you own in return for increased exposure. Content syndication (especially with the right partner) can do wonders for your content’s reach. However, getting to the point where you can have these partnerships available to you requires building a robust audience of your own and producing content that will appeal to the big content distributors. Another blogging strategy to build your audience (that is often accessible to smaller blogs) is guest-blogging. Guest-blogging is when you write content for exclusive use by another blog in return for receiving mention as the content creator. The considerations a blog needs to make to pursue either of these strategies are fairly similar. In the content planning stage of the editorial process, identify blogs relevant to your audience that take part in either content syndication or guest-blogging. Take particular note of what kinds of topics they write about and what type of structure their articles follow. Don’t mimic their style too closely, but use it as a general guide for creating content that aligns with what their audience is used to seeing. Not only will this make pursuing a partnership down the line easier, it also can’t hurt to see what kind of content is working for the more established players in your industry. After putting all of this time and energy into creating your editorial calendar, it would be a shame if nobody used it. While this is almost a non-issue if you are operating solo, it presents a big obstacle for larger teams. I created my template using Google Docs for two reasons. First of all Google Docs are practically ubiquitous, meaning that all team members are likely to have access and second of all they update automatically meaning that sharing changes with your entire team is effortless. Depending on your organization, a different program or technological solution might fit these criteria, but make sure that whatever software you plan on using to create your plan ends up meeting these basic requirements. I hope that you find the template provided useful and my recommendations instructive when it comes to making your editorial calendar for managing your content marketing for the coming year. This Entrepreneur Schedules Time to Play With His Kids. Here's Why You Should, Too.